After almost three decades of service to NASA, veteran astronaut William McArthur has retired from NASA. His last day with the agency was June 24. “We will greatly miss Bill’s excellent leadership at NASA, and we’ve been the fortunate recipient of his many years of dedicated service to America’s space agency,” said Dr. Ellen Ochoa, director of NASA’s Johnson Space Center. McArthur began his career in the U.S. Army in 1973. He was assigned to NASA’s Johnson Space Center in 1987, after graduating from the U.S. Naval Test Pilot School and being designated an experimental test pilot. He spent three years as a space shuttle vehicle integration test engineer, testing the flight control system for each orbiter before being selected as an astronaut. 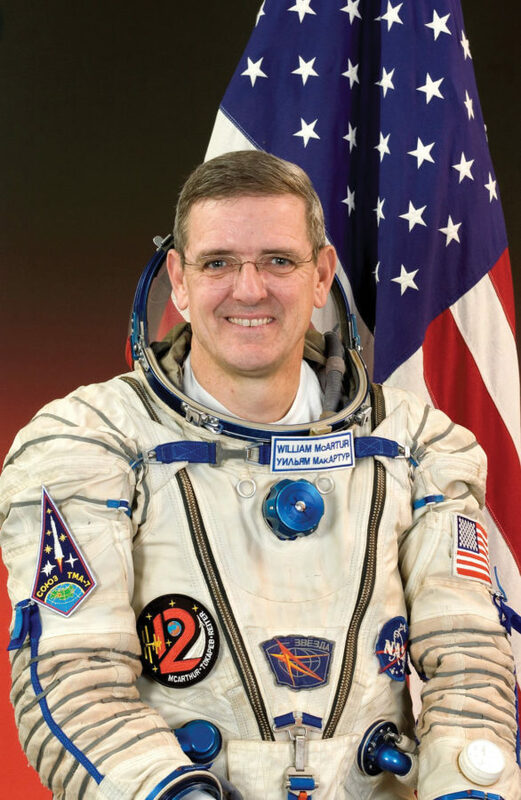 As an astronaut, McArthur logged 224 days and 22 hours in space during three space shuttle missions and one long-duration stay at the International Space Station. He made his first flight on board space shuttle Columbia, as part of the STS-58 crew in 1993. It was the second Spacelab Life Sciences mission, and McArthur and his crewmates collected more than 650 biological samples from themselves and rodents for 14 different experiments. McArthur then flew on space shuttle Atlantis for his second mission, STS-74, in 1995. The mission was the second to dock to the Russian Space Station Mir, and delivered a permanent docking module, making future space shuttle dockings safer. McArthur made his first visit to the International Space Station in 2000, as part of space shuttle Discovery’s STS-92 mission. He conducted two spacewalks, and with his crewmates delivered a truss segment and a pressurized mating adapter to the space station, preparing it for its first residents. McArthur himself became a six-month resident of the space station on his final mission, Expedition 12, in 2005 and 2006. McArthur served as commander and science officer for the crew, and conducted two more spacewalks, including the only spacewalk ever conducted in NASA’s Extravehicular Mobility Unit without the aid of additional crew members inside the spacecraft. His total time spent spacewalking is 24 hours and 21 minutes. Following his expedition, McArthur went on to manage the Space Shuttle Safety and Mission Assurance Office, then the Space Shuttle Orbiter Project. Since 2011, he has been the director of Johnson’s Safety and Mission Assurance directorate. McArthur was born in in Laurinburg, N.C., and holds a B.S. in Applied Science and Engineering from the U.S. Military Academy, in West Point, N.Y., and a Master of Science degree in Aerospace Engineering from the Georgia Institute of Technology. He began his retirement as serving as king of the 2017 Lunar Rendezvous Festival.